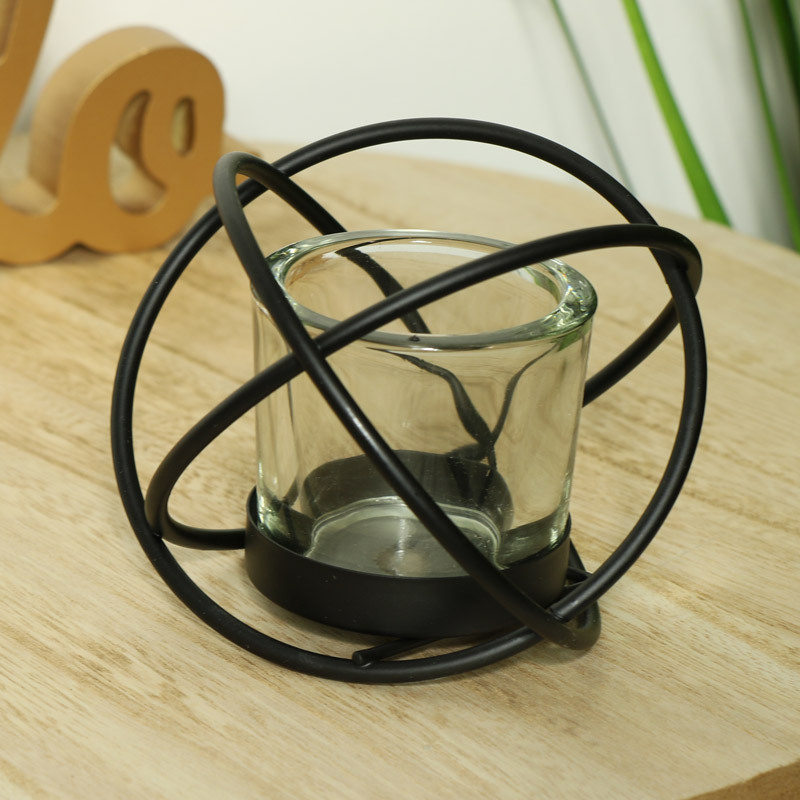 This Black Sphere Tealight Candle Holder is great home or table decor for lover of industrial, retro or monochrome decor. Perfect for small candles or tealights. Great black indoor or outdoor decor. This candle holder will make a fantastic centrepiece for a dining table or simply a pretty and decorative effect in your living room. The glass holder sits comfortably inside the frame. This Black Sphere Tealight Candle Holder is great home or table decor for lover of industrial, retro or monochrome decor. Perfect for small candles or tealights. Great black indoor or outdoor decor. 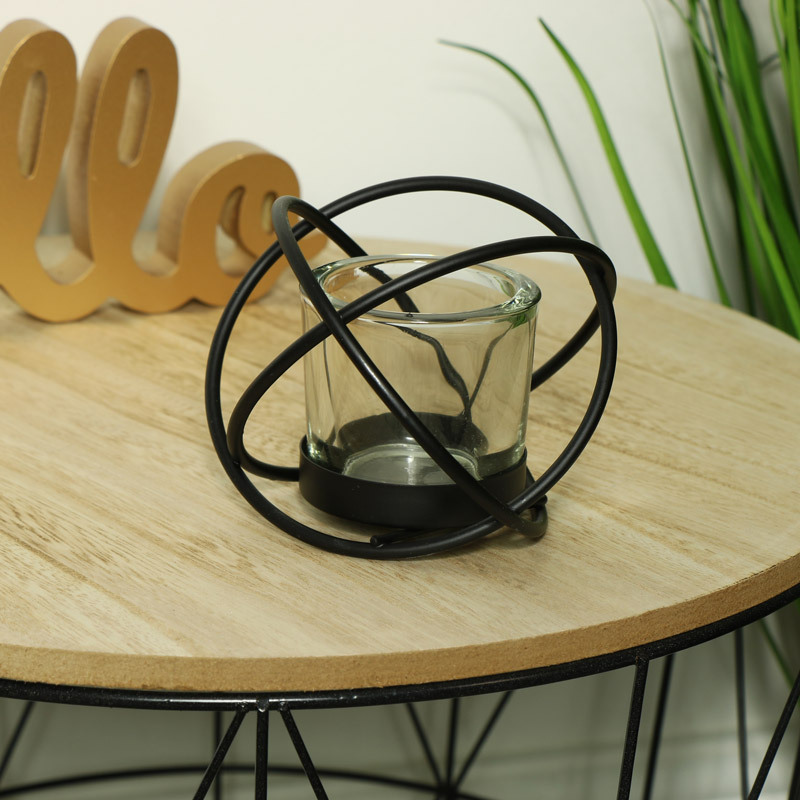 This candle holder will make a fantastic centrepiece for a dining table or simply a pretty and decorative effect in your living room. The glass holder sits comfortably inside the frame. Metal wire frame painted in a matt black colour. Complete with glass candle holder and pillar candle.